I bought these to help with my heel pain and so far so good! They have made my shoes a whole lot more comfortable to wear and after a long day on my feet I no longer get anywhere near as bad pain as I used to get. Mind you they were a little fiddly to cut to the right size and fit inside my shoes but once they are in they are great! I do a lot of walking and climbing but because I have flat feet I often get foot and heel pain but wearing these has made a huge improvement!! -No longer get anywhere near as bad pain or aches in my feet as I used to since wearing these. -Has a good deep heel cup that keeps your heels stable and stops pressure building up underneath your heels so you can stand for as long as you want without having to worry about getting heel pain. 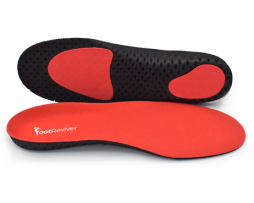 In conclusion, the positives definitely outweigh the negatives and I would highly recommend buying them if you have flat feet and get foot pain and aches because for me these were the only insoles that actually helped all others I tried were just placebos and did nothing. I don’t normally write reviews for anything EVER! but felt I had to write one for these insoles as they have helped get rid of my really bad foot pain which I have had for months. These insoles give just the right amount of support to your feet and really helps to reduce pressure and strain off your arches when you walk, so, if you got plantar fasciitis like I had then this really helps your feet recover. They are also super lightweight and don’t feel bulky in your shoes this is a major plus for me because before buying these I bought some other insoles which just made my shoes feel heavy and bulky. The only thing I didn’t like about these insoles is the fact that if they don’t fit inside your shoes perfectly you have to cut them down to size this can be a bit fiddly and if you mess up you could ruin your insoles. But once you have them fitted they are the best. I highly recommend buying these if you have plantar fasciitis 🙂 I started to get really bad foot pain after going out running one day, so I went to see my doc who told me I had plantar fasciitis and should start wearing some support in my shoes. One of my friends told me about these insoles and they are the best for plantar fasciitis so decided to buy them and I am so glad I did. 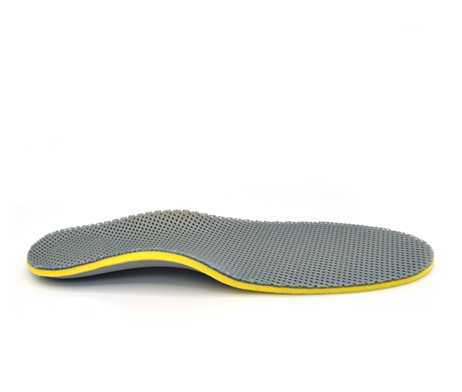 Wearing these insoles inside my shoes have helped massively at easing my plantar fasciitis, within 3 weeks my plantar fasciitis has totally cleared up and my feet feel great. I won’t go out without these inside my shoes now!